Since 1997, Short Hills Restaurant and Deli has been one of South Jersey's best-kept secrets, boasting a dining menu of more than 200 items and offering full catering services. Open 7 days a week from morning to night, Short Hills Restaurant and Deli has built its reputation on using only the highest quality ingredients and providing the best possible service. Each member of the staff shares this commitment, treating our customers like family and knowing many by name. Conveniently located in the Short Hills Towne Center in Cherry Hill, Short Hills Restaurant and Deli is the ideal place for your dining and catering needs! Start your day off right! Whether it is an early morning business meeting or a leisurely family brunch, Short Hills Restaurant and Deli has a full breakfast menu, featuring eggs, omelets, pancakes, French toast, waffles, fruits, and our famous smoked fish platters! We also have full breakfast specials Monday through Saturday! Home-cooking just like mom used to make! Entrees, sandwiches, wraps, salads and soups are just some of the items you can find on Short Hills Restaurant and Deli menu. 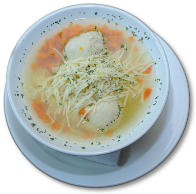 This includes award-winning favorites like Cabbage Borscht, Matzoh Ball Soup and New York Style Steamed Corned Beef or Pastrami sandwiches. For our vegetarian guests, our menu features several options ~ two of the most popular being the grilled veggie wrap or our grilled vegetable platter. Since every meal is made to order, simply tell us what you like! Sweet and scrumptious! At Short Hills Restaurant and Deli, we have a large selection of mouth-watering cakes, creamy cheesecakes and delicious seasonal specialties. Make any delicacy a la mode with your choice of 15 ice cream flavors! In a hurry? If you don't have time to dine in with us, dine out with us! Call in your order and get it to go! We prepare it. You enjoy it! 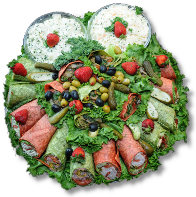 Short Hills Restaurant and Deli excels at catering special occasions and corporate events. From full hot buffets to soups and sandwiches for 10 to more than 100 guests, we will prepare to your specifications. Theme catering is also available. At Short Hills Restaurant and Deli, we service the entire South Jersey area, Philadelphia, the Jersey Shore and even Wilmington, Delaware! Call us today and we can discuss making your next event a delicious success! Short Hills Restaurant and Deli!